All of you must learn to be disciplined. Be alert 24 hours a day. If you are not disciplined and idle your time away, there is no point to coming to Haidakhan. Because great calamities are going to come in the world in the future, Shri Mahaprabhuji has warned you many times and told you to become alert and careful. That is why you must become alert and become the true lover of your religion. Any day when Aarati is being done by people from a certain country, all men and women of that country should participate in it. When a German does Aarati, all Germans must take part in it; when Swiss people do Aarati, all the Swiss should take part in it. Likewise with the French, Italians, Americans, etc. This is a new universal law, given for Haidakhan Vishwa Mahadham, since the new code for the universal kingdom will start from Haidakhan. This law will be universal. This is not for one country but for all the world. "Dhara 44" -Code No. 44 -is the name of this law, and a person can be punished if he breaks this law. All of you must obey the law. This is a universal law. You must all consider yourselves soldiers of your countries, and spread my word by every means available, throughout the world. All of you have sacrificed your body, mind and soul in increasing the beauty of Haidakhan. In the making, in working here, all of you have invested your energy and have worked so hard and this Vishwa Mahadham is your soul. The structure of this place is now in all of you. You are responsible for the structure. Each one of you must vow today to sacrifice everything to obtain oneness with yourself. Be rid of attachment in your heart and be ready for the sake of righteousness to jump into the flames and water of life. Why do you attach your minds to the transitory things in this world? Why do you not spend time in meditation and in repeating the Lord's name? Attach yourself to God. Be brave and always walk on. I want to see people liberated who have become dependent on the illusions of the material world. Everybody must come in time to darshan, kirtan and aarati (also spelled arati). Manage your time effectively, so you are prompt. When you go back to the West, do aarati and kirtan at the proper times. Everybody can do aarati and puja at their home. Karma Yoga is the highest religious practice of this time and will liberate you. The scriptures declare that at the end of each Yuga only Karma Yoga will help you. According to my plan, liberation will come only to those who practice karma yogas - bhakti yoga, gyana yoga, prem yoga - but in this time only karma yoga can benefit you. He stressed that the time had come to tell the world of His presence and His message of Truth, Simplicity and Love. He said that a committee would be formed to spread His message around the world. In summary, Babaji said: It is the duty of everybody who comes to Babaji to spread and repeat that name of God and to spread His message of Truth, Simplicity and Love. Those who return to their homes should go on tour and tell people that the way to save mankind is by following the teachings of Shri Babaji. To follow and demonstrate the path of Truth, Simplicity and Love is man's supreme duty and the highest yoga. Now that you understand, you must live in Truth, Simplicity and Love, and take this message into the world. Those coming from the West have been saints in their former lives and were born in technologically advanced cultures to fulfill karmic desires, but are drawn to Shri Babaji when that karma is about to be satisfied. Two traits which Shri Babaji dislikes in people are acting like sheep, one blindly running after the other, and deceitfulness or cunning. Shri Babaji appears in the world to lift people out of such conduct to the highest level of character and to enlighten all mankind. We must always have good thoughts for each other. When you meet, say Jai Mahamaya Ki. Mahamaya is the great energy of the universe. Jai Mahamaya Ki! Always Jai Mahamaya Ki! (which means Honor or Glory to the Great Primordial Creative Energy) must be your slogan, your greeting to each other. If we try to understand these teachings with cool and steady minds we will be successful. Babaji teaches all people - householders, seekers, celibates, and renunciates - according to their needs. You must all sing Bhajans (devotional songs), wherever you are. In your countries, you should assemble at least weekly for bhajans and kirtan (songs repeating God's names). Bhajans should be sung like a flower gives nectar - sweetly and softly. Drums, chimtas and other instruments should be played quietly. Some bhajans are more appropriate for singing at different times of day. Listen and learn to make proper selections for the morning and evening. Don't use intoxicating drugs, but learn from Gaura Devi's (Gaura Devi is a devotee who served Shri Babaji for 12 years at Haidakhan) devotion and purity. Why do you travel here so far from your home yet lose yourself in drugs? It is strictly forbidden to use drugs and you must leave if you do so, because there is no progress; you remain the same. You must learn not to use drugs, so you can teach others not to use them. To maintain peace and order in the ashram, everyone must see to it that no unwanted loafers come here. Nobody should use intoxicating drugs. Each of you should check such loafers and drug users and send them away from the ashram. By working hard, a man can achieve peace within himself and in the world around him. If everyone works diligently and with love, there will be peace throughout the world. Those who are strong like iron are fit to flourish. To become strong does not mean to become harsh and heartless. To become strong means to grow beyond pleasure and pain; beyond heat and cold. You all think devotion is fun. Some day you will have to jump without fear of life or death; then you will be able to make progress. When the time comes, you will have to walk through fire and water. As long as we are not able to rebel against the bad qualities in our hearts and minds, we shall not be able to attain our goals in life. Each one of you must vow today to sacrifice everything to obtain oneness with yourself. Be rid of attachment in your heart and be ready for the sake of righteousness to jump into the flames and water of life. Be prepared to burn your very bones, if necessary to secure the public good and righteousness. This effort was made for the benefit of the world. The holy words in the Sikh scriptures are great mantras. By correctly performing the worship and recitation of these mantras, a being achieves righteousness, riches, pleasures, salvation and fulfillment of all other desires during his life. The soul begins to swim in the waves of bliss and the mire of the world disappears from the eyes. From this place - Haidakhan Vishwa Mahadham - the whole world is blessed. Haidakhan Vishwa Mahadham (Babaji's ashram which He often called the most sacred place on earth) is not the property of one person, it is the property of all mankind. Progress made at Haidakhan Vishwa Mahadham benefits the universe. You are fortunate to be in Haidakhan, because even the gods long to be here. Haidakhan Vishwa Mahadham is the most sacred place on earth and the residence of Shri Haidakhan Babaji. All who come here are members of a universal family who must demonstrate to the world their good character and attentiveness. 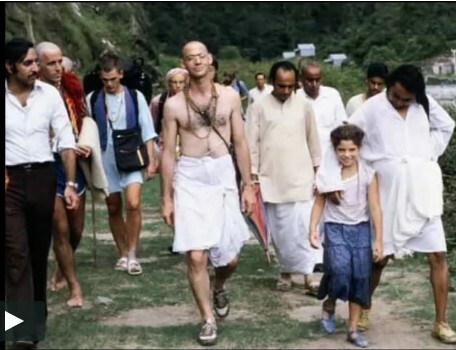 When a person comes to Haidakhan, his mind grows steady and peaceful. You should not hesitate to do the lowest kind of service, if it is needed. If a man of high position is prepared to perform any service - even the lowest service - he sets an example for others. When the time comes, you must be prepared to do any kind of work that comes to you. Everyone who comes here should be prepared to do any kind of work. In this Age, work purifies you and is the best spiritual practice (sadhana). Learn to talk less and work more. This is the field of spiritual practice. Karma* is the highest way of perfection. It is a great thing to take a human body. Whoever comes to the earth must do work.